Alle Details findet ihr heute auf der Startseite von coaster.de! Heute gibt es bei Rakuten 30-fach Superpunkte, was im Prinzip einen Rabatt von 30% entspricht. Quern – Undying Thoughts, ein Adventure aus der Ego-Perspektive, das in einer Welt mit ganz eigener Logik zu spielen scheint, ist nun bei GOG erschienen. 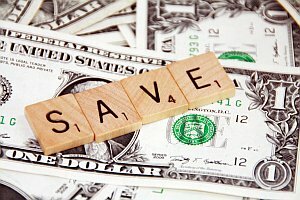 Zum Release gewährt der Online-Verkäufer zudem 25% Rabatt. Lamachun leider schon etwas kalt, aber ich bin pappvoll! Da bestell ich vermutlich mal wieder! 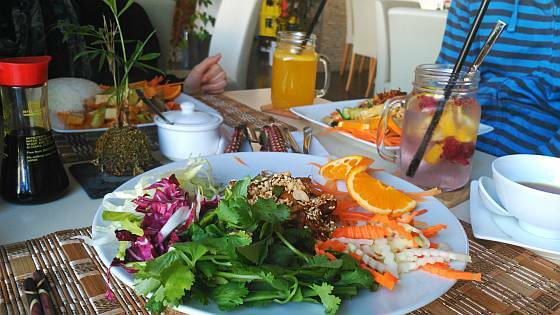 Sehr leckerer und gar nicht teurer veganer Vietnamese in München: AnSa. Nette Leute, toll angemachtes Essen und vor allen Dingen gibt’s die lckeren vietnamesischen Hauslimos (leider aber kein Chanh muối auf der Speisekarte entdeckt). Schade nur, dass der Laden immer so aussieht, als wäre er zu. Innen gibt es praktisch keine Beleuchtung. Dadurch scheinen eher wenige Leute Mittags das AnSa aufzusuchen. Wir waren jedenfalls ganz allein da. Empfehlung! The sometimes exhausting way of accomodation pays of with a wonderful lake right at your service during breakfast (1:58). It cools you down perfectly for the trip up towards Schöttelkarspitze mountain top (3:55). The central showpiece is what to follow now: A high route (4:50) towards the next mountain top called „Soiernspitze“ (6:40). We decided to extend our trip in the beautiful valley between „Soiernspitze“ and „Wörner“ (8:00), where a comfortable lodge can be used for staying overnight (9:20) in a beautiful area. The next day, we walked back to the civilization over a shepherd trail (which we immediately realized at 10:40). We were even able to get a small drink at one shepherd’s place (11:20). Why does the video stop there? Well, our hike was not over. However, it all turned dark right after the shepherd’s place as we had our first serious crash then – with helicopters and stuff. Luckily, everything went well and while we really thought, we’d lost something, some guardian angle watched us this time. Why did I put this at the end of the series? Because it showed us what it really means to be out in nature and while you can hike at the most dangerous places, sometimes it can happen at spots you’d never expect. As beautiful as everything looks, you should never be deceived. So, if you’re out there this year: Be prepared, respect nature and take care! (More hiking videos are in my playlist).